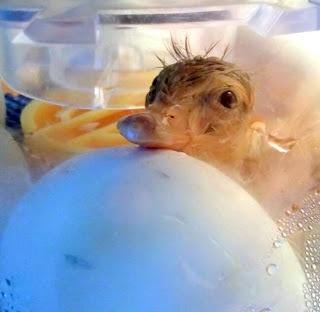 We have had five Saxony duck eggs incubating in our incubator for the last 28 days. (Follow along with our daily updates to The Great Eggscape HERE.) Today was Hatch Day and this little one didn't disappoint. Arrived right on schedule. We have our brooder (AKA the bathtub) all ready to transfer the ducklings to once they dry off and rest a bit. Four more eggs to go...they can take up to 48 hours to hatch after the first pip, so this could be a long drawn out process. just waiting for the last egg to hatch. This will make the third 100% successful hatch we've had in our Brinsea Mini Advance incubator. I can't recommend it enough. And HERE is a link to basic duckling care. Update: Nine short weeks later and the ducklings are almost full-grown. Have your hatch rates in the Brinsea mini been reliable? I'm desperately looking to replace my LG. Thank you! I couldn't scrape together enough for the Mini Advance, so I went with the Mini Eco. I hope I have as good of a hatch with that one as you did with the Advance! Oh you should. I actually have never used the turning tray - I've turned by hand. So as long as you are consistent you should have no trouble. Awww....they are so tiny! What a sweet reminder of how amazing life is! I love the video! So glad we got to hear you "quack" our encouragement to him. I never get tired of watching this miracle of life-one reason I CANNOT own an incubator! I would be in big trouble and overrun with chickens! Congrats!!! I also hatched my chicks using a Brinsea mini... 6/7 my first try!! I would love to have one duck, okay maybe two to keep eachother company, and so the chickens don't pick on them. 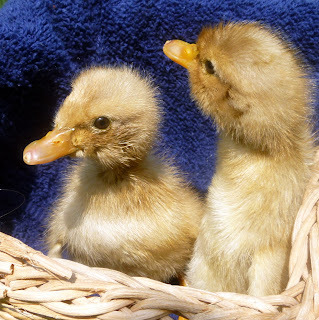 Are ducks just like chicks when they hatch? All crazy, loud, and really active?? Two are pretty active. 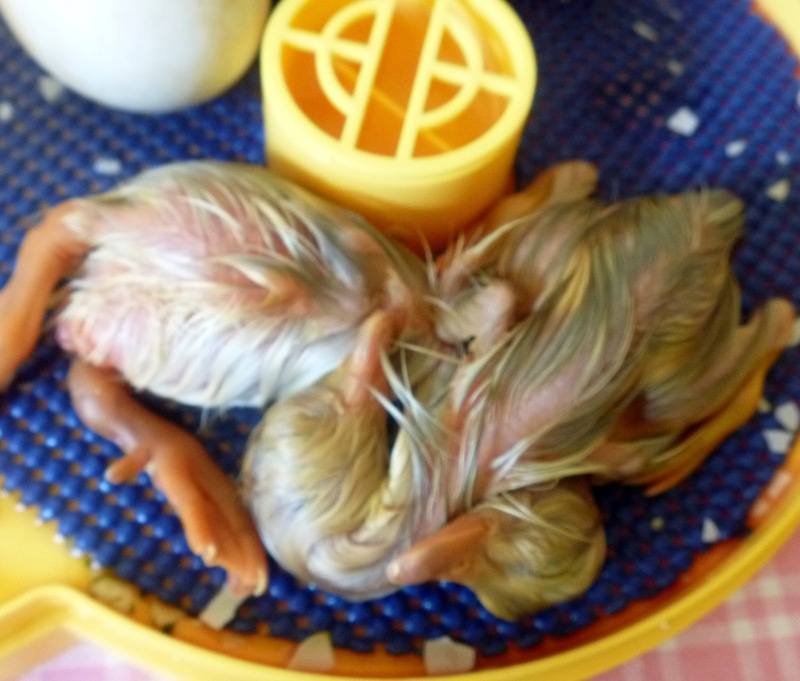 The other two that took longer to hatch seem pretty wiped out still - sleeping alot. Was great seeing you a Weekend Whatever! 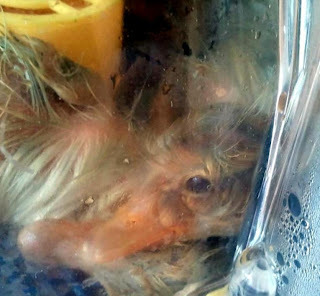 I LOVE your blog and always recommend it for friends who are thinking about chickens. It has helped me spoil our girls a little more and have the courage to increase our flock! Sara ! I had no idea that was you. I found you through my friend Kate at Brighton Park. I have started doing a few linky parties - they're fun. I've found some great blogs that way. We had 13 hatch from two mama ducks this year. 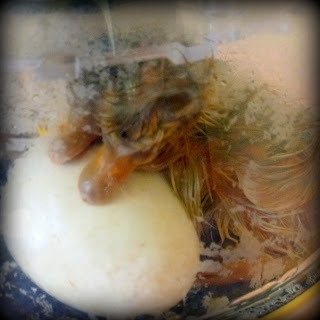 It is so cool watching them hatch. I am happy for you that you could watch them hatch. I had three ducklings hatch last month. I have raised ducks for years and I never get tired of them. Even the young ones have personalities! Great pictures!